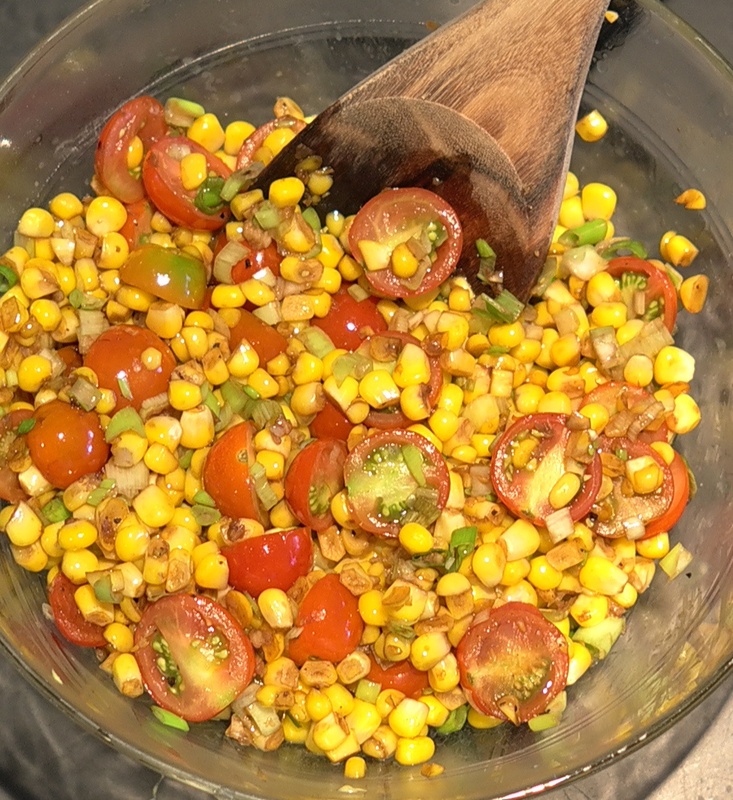 4 fresh ears of corn and scallions from the farmstand, tomatoes from the garden, and garlic from the CSA…..fig based balsamic vinegar, and thoughts of Jamie. Put them all together and I got a container full of summer goodness. A winner….hot OR cold!